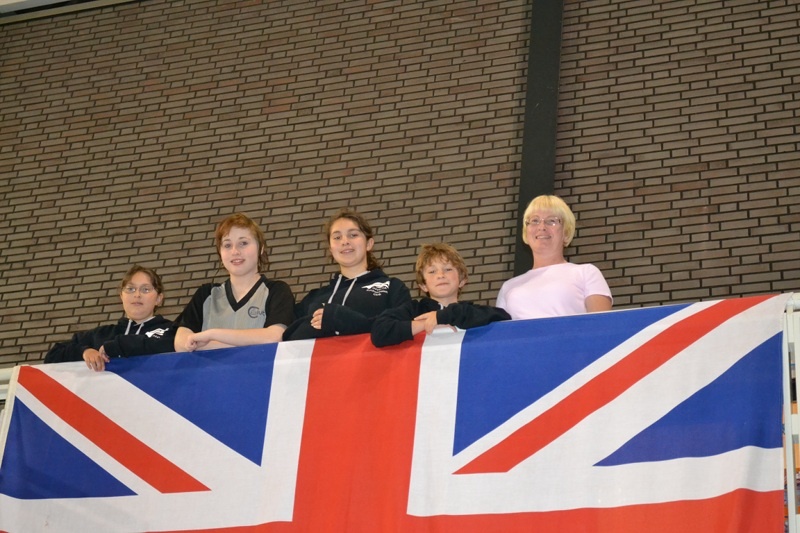 Invicta (formally Kent Juniors) Finswimming Club travelled to Eindhoven to compete in the Dutch Championships accompanied by parents and their part-time coach and Club Chairman Alan Barber. 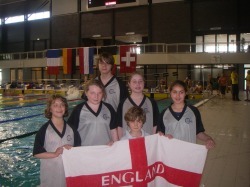 The girls team comprised Charlotte Layland, Holly Sarup and Clare Sarup, with Felix Sarup being our only boy competitor this year. 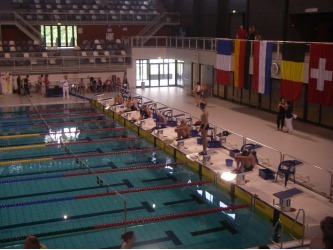 They competed against teams from Holland, Germany, France, Belgium and the UK and all beat their times from last year by quite some considerable margins. The first race on Saturday was the 50m Surface and the sponsors of the event were donating prizes for the ‘most improved time from last year’. All the competitors did exceptionally well, however, Felix managed to beat his time by 12:53 seconds and was awarded a voucher with which he proudly bought a new fin bag. 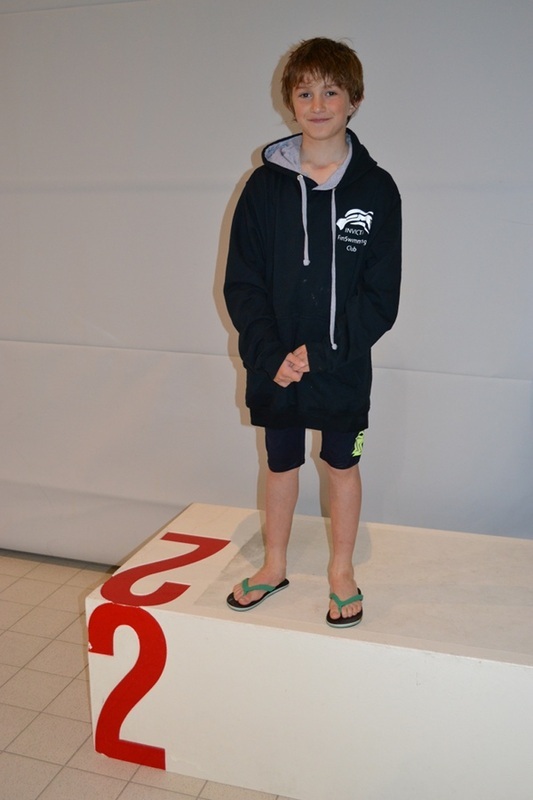 A new race for the competition, the 100m Surface Bi-Fins was also held on Saturday, which all the competitors enjoyed, with Felix achieving a 3rd in his age category with a time of 1.21:64. Holly competed in the 400m Surface Monofin race for the first time this year and gained a fantastic 8th place with a time of 5.55:27. 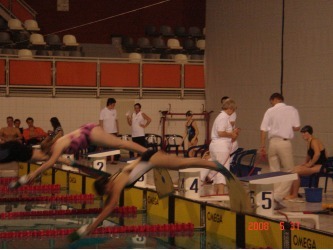 The first race on the Sunday morning was the 50m Apnea. 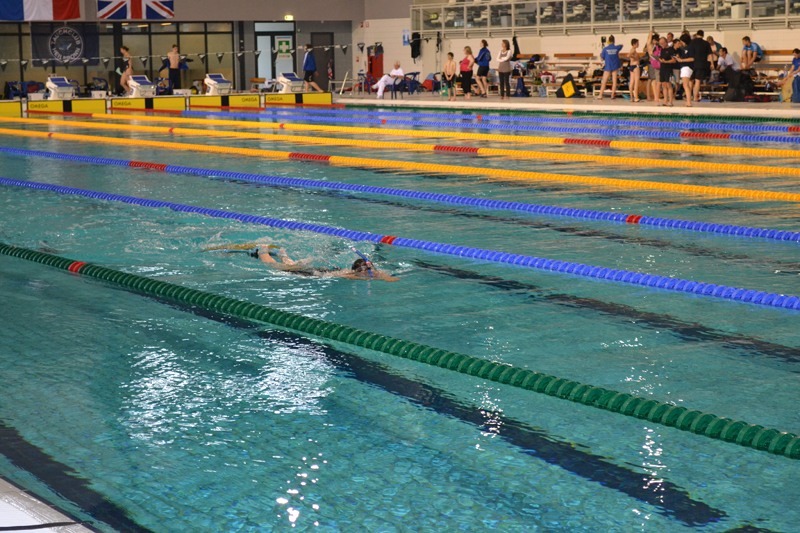 This year was the first time Charlotte and Holly had been entered for this event and whilst unfortunately Charlotte was disqualified after completing only 40m, Holly went on to finish the race and obtain a very commendable 8th position with a time of 28:54. 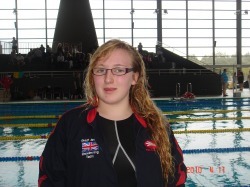 The 100m Surface saw Clare improve her time from last year by 1:97 seconds giving her also a very commendable 8th position. 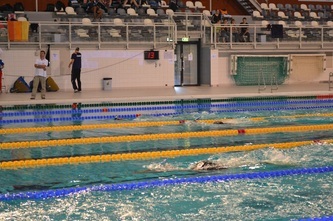 Felix then went on to gain a 3rd place in his age category for the 100m Surface with a time of 1.20:10. 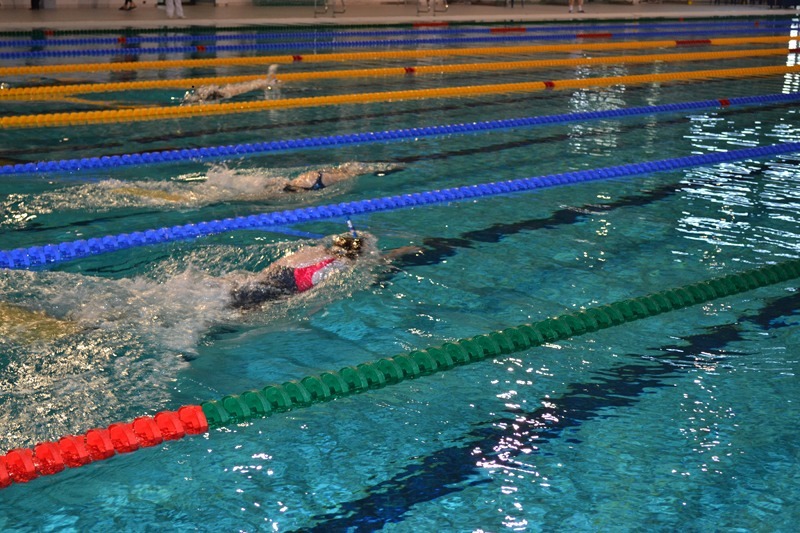 The 200m Surface race, in their respective age categories, saw Clare finish in 8th with a time of 3.36:93, Holly finish 10th in 2.38:76 beating last year’s time by 7:24 seconds, Charlotte finish 12th beating her last year’s time by 18:66 seconds and Felix, once again, attaining a podium position in 2nd place with a time of 2.58:70. 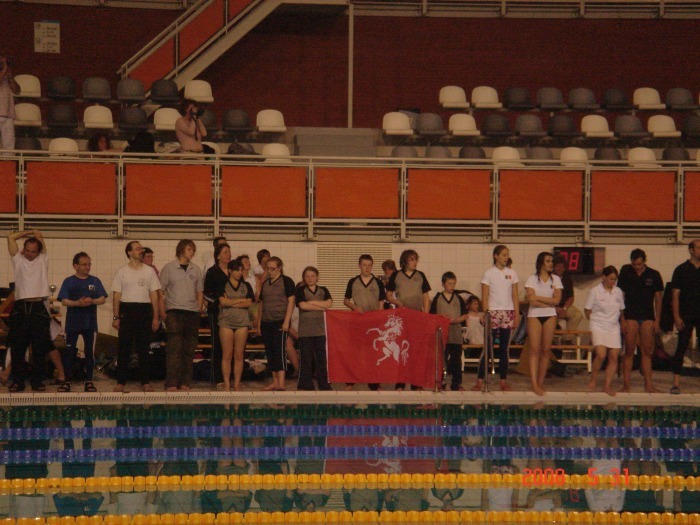 None of the competitors took part in the relay races due to lack of team members, however, hopefully this can be rectified next year! 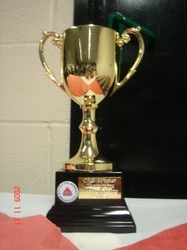 Well done to everyone who competed, you were all fantastic, and a great time was, once again, had by all, including parents, and we look forward to competing again in 2012!! 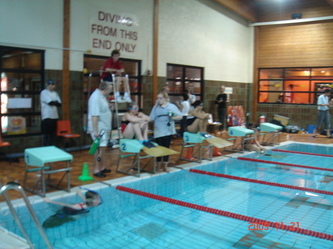 The British Shortcourse Finswimming Gala was held at Edenbridge on 2nd April 2011. 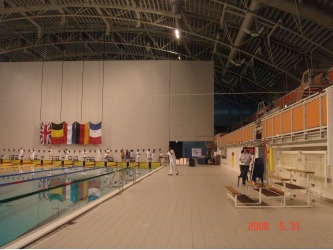 Photographs and full report to be added soon. 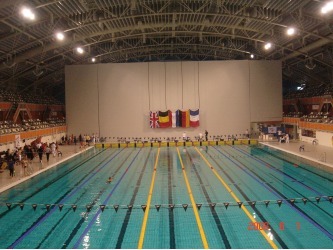 Eindhoven June 2010 Video from You Tube. 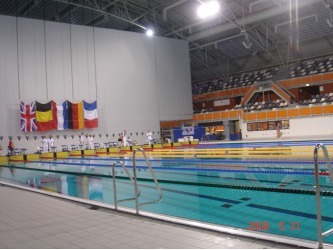 Recently Kent Junior Finswimming Club represented by team member Katie Darby attended the Belgian Open Finswimming Championships held in Genk, Belgium. 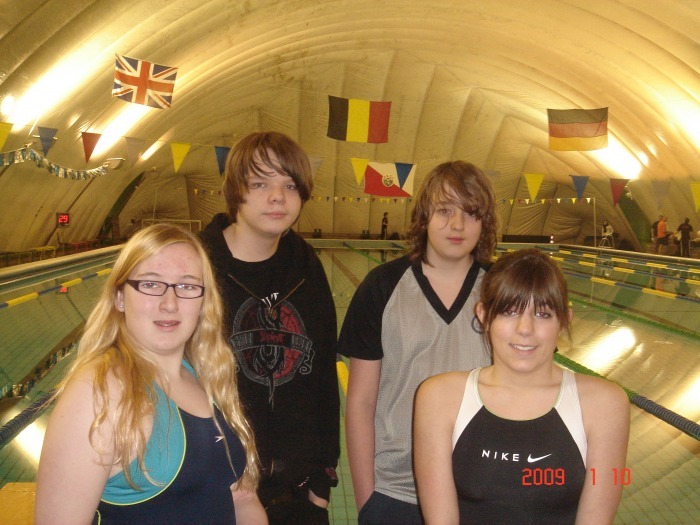 Katie swam in four races including 100 metre surface and 400 metre immersion race (where the swimmer completes the whole race underwater using an air supply bottle held by the finswimmer) also part of a 4 x 100 metre relay team. 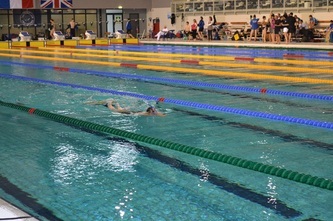 Katie, a pupil at Hillview School in Tonbridge is awaiting confirmation of a British Record in the 400 metre Immersion discipline with a personal best time of 5 mins 57.00 seconds. 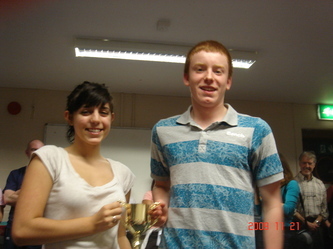 Two other personal best times were also achieved by Katie including the 100 metre races. 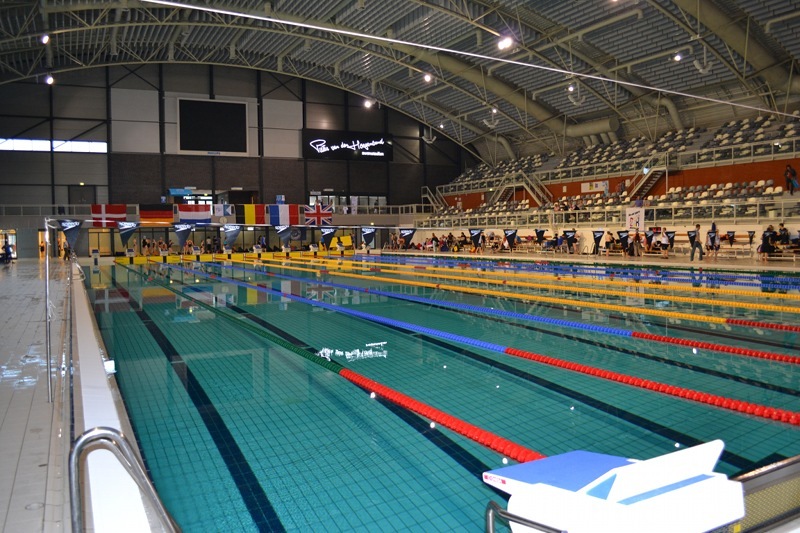 Kent Junior Finswimming Club took a new junior girls team to the Dutch Finswimming Championships this year where they had to compete against strong teams from Switzerland, Germany, Holland, France and Belgium. 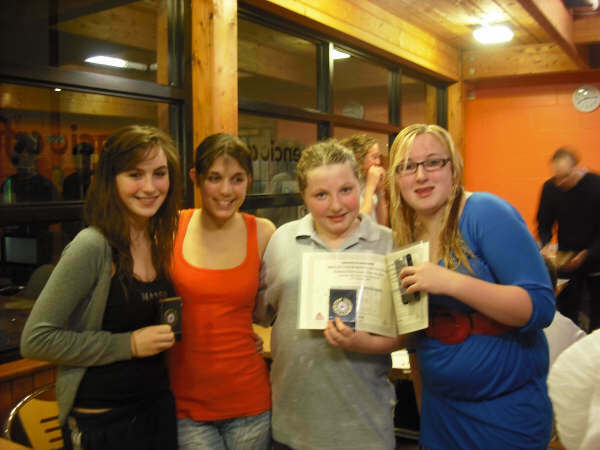 Eleanor Dillon, British Record Holder and Captain kept her cool and guided the girls to first place each time, Charlotte Layland, Holly Sarup and Clare Sarup returned from their first international events with two Gold medals each. 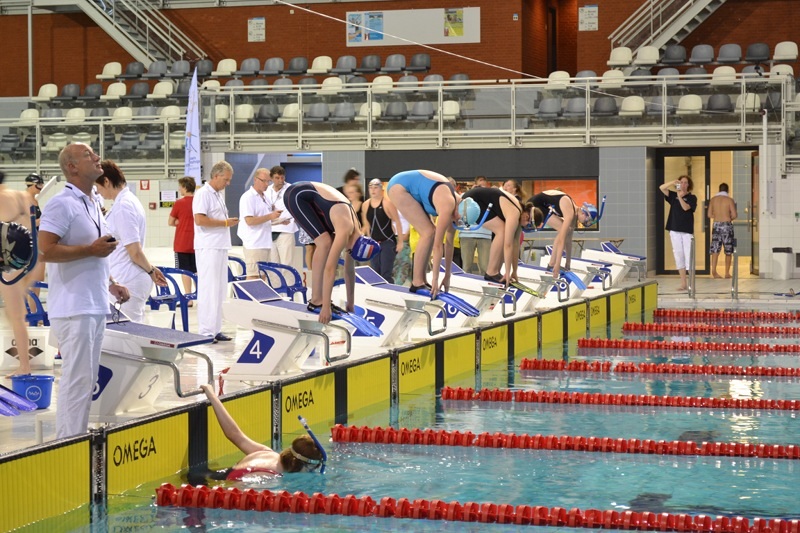 In addition, the youngest girls’ team member, Clare Sarup, also achieved two individual bronze podium places in the 50m and 100m sprints. 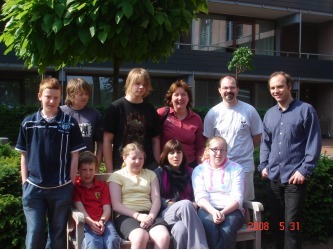 Clare joined us having completed a newcomer introduction session, at Coombe Bank School this winter. Eleanor also raced in the Scuba event, staying underwater for 100m using a small diving bottle and finning fast, this was her first ever race in this event and she achieved a Gold. 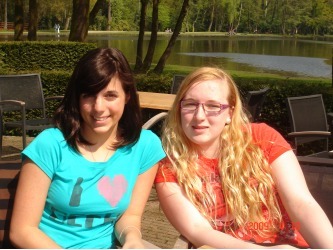 She also achieved two 4th places against strong Swiss and Dutch Finswimmers. 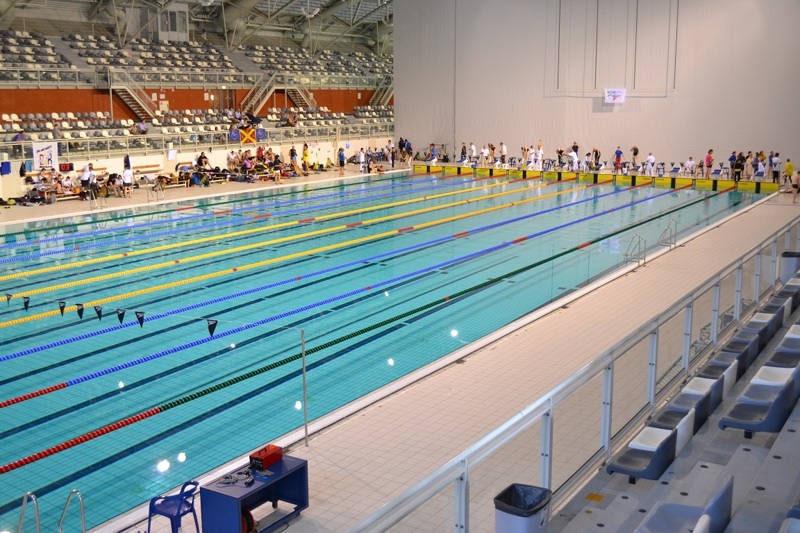 In the 50m Charlotte was fastest in her year group and narrowly missed a podium place with Holly close behind and in the 100m the girls reversed places with Holly gaining the fastest age group time. Next year the girls will be in the same age banding so should be bringing back medal places…. 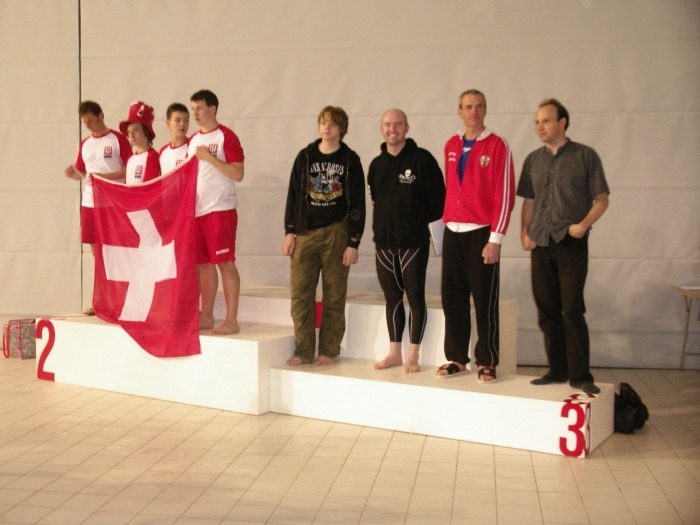 The boys team of three were equally successful in their individual events, Theo Anderson-Knight aged 14, swum in a new higher age group yet still achieved a silver in the Scuba Immersion race and fourth place in all other events; Andrew Turner gained a silver and two bronze places in his individual events. 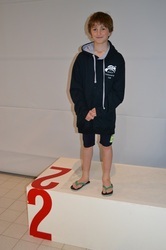 Both boys achieved personal bests in all of their races….. Felix Sarup who has just started to Fin also competed in his first event and despite nerves managed to complete his 50m race and gain his first international pennant from the organisers. Andrew, still only 14 years of age, was invited at the championship to swim in the open 4 x 100m relay event to attempt a new British Mens Record. 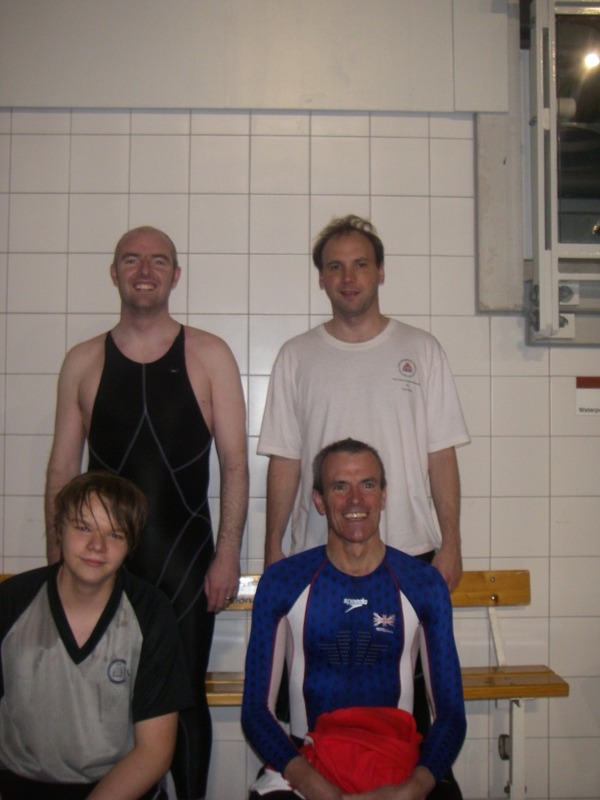 Alaric Smith, Chairman of the British Finswimming Association, from Five Oak Green led the team; Simon Kidd, winner of the 200m event, and Alan Barber, (Guinness Book of records apnea record holder ) achieved fantastic times in their legs and it was up to Andrew to complete his 100m in less than a minute…with a time of 59 seconds, just 9 seconds slower than Alan and Simon, Andrew has now become a member of the fastest Finswimming team in the country. 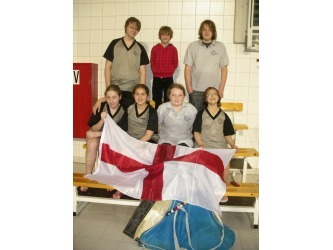 Unexpectedly their time also earned them a bronze place in the gala. 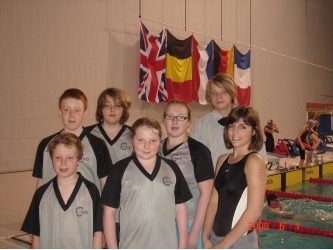 Kent Junior Finswimming Club travelled to Belgium to compete in the Belgium Open Championships held at Genk. 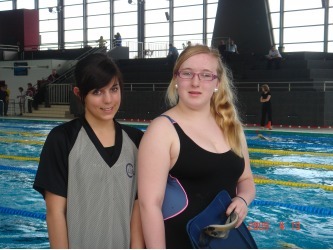 Beth Fraser and Katie Darby swam in the "B" class events and had a very successful day each gaining 2 personal best times. 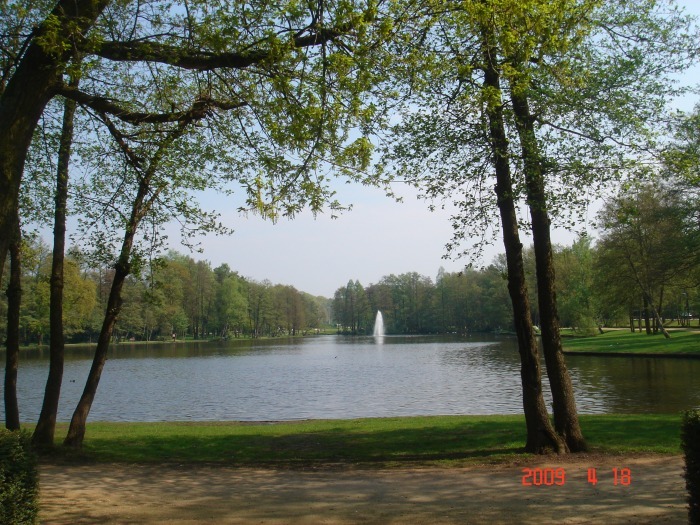 This event has previously been held in Antwerp but now moved to a stunning venue in Genk. 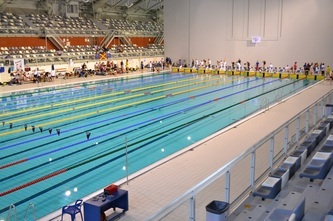 The 50m pool complex was very modern looking providing a magnificent venue for this event. 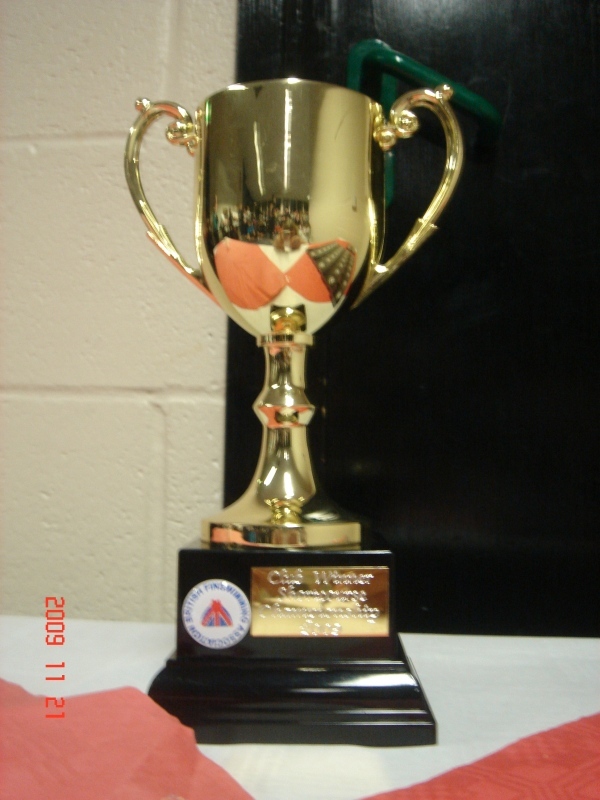 Unfortunately there were no medal ceromonies only the satisfaction of a thoroughly enjoyable weekend. 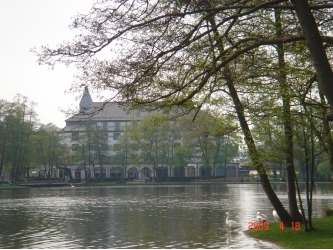 The local hotel accommodation was set in lovely grounds making the stay very pleasant. 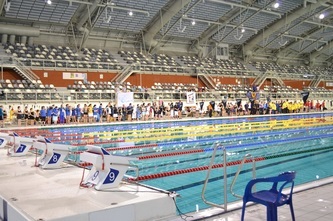 Photographs and results of the event are below. 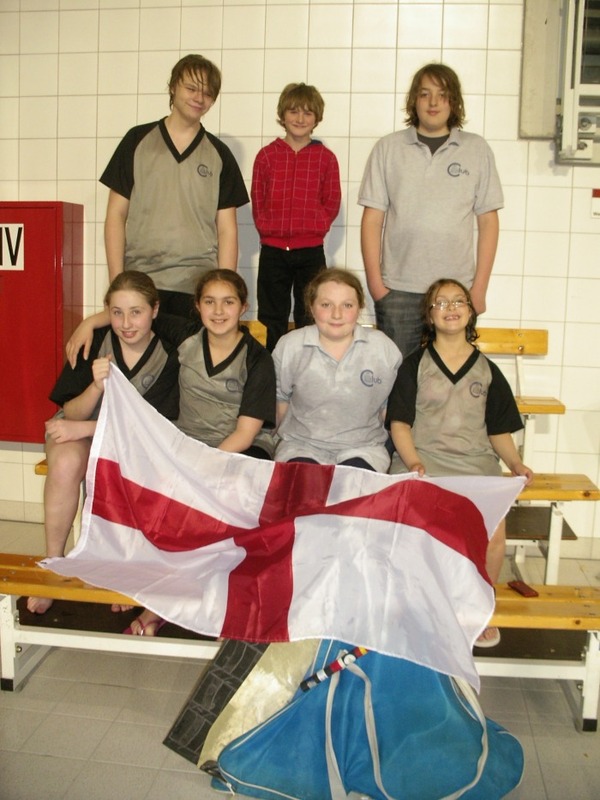 Fourteen children from Kent Junior Finswimming Club celebrated as british age group record holders last year and four have already set new age group records in 2009. With over 20 beginners already starting training in Sevenoaks to join this high achieving group, the club could soon become the strongest in the United Kingdom., thanks to Sport Unlimited Grant Funding via the Kent Sports Development Unit from Sport England. 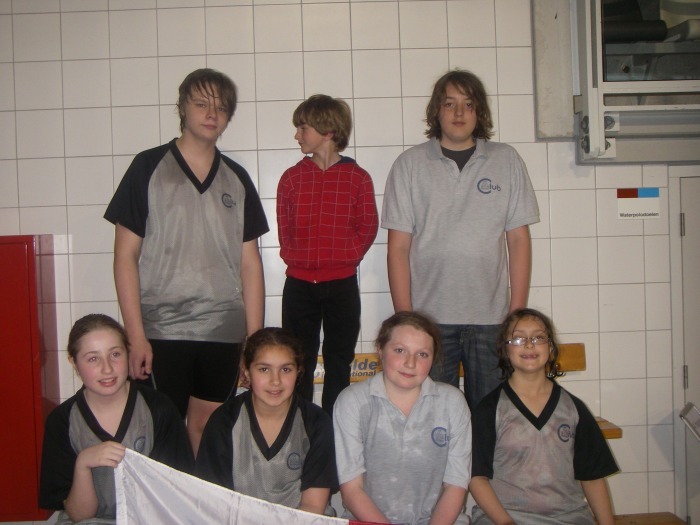 The sport attracts mainly 10 - 16 year olds who are looking for an interesting and sociable activity and many members are those who have dropped out of competitive swimming. The sport offers competition in a friendly environment at every level, all members are encouraged to race in the international galas and can move on to the Scuba Diving activities for the older members and eventually as adults where they will have found an international network of friends in our Universities and across the globe. 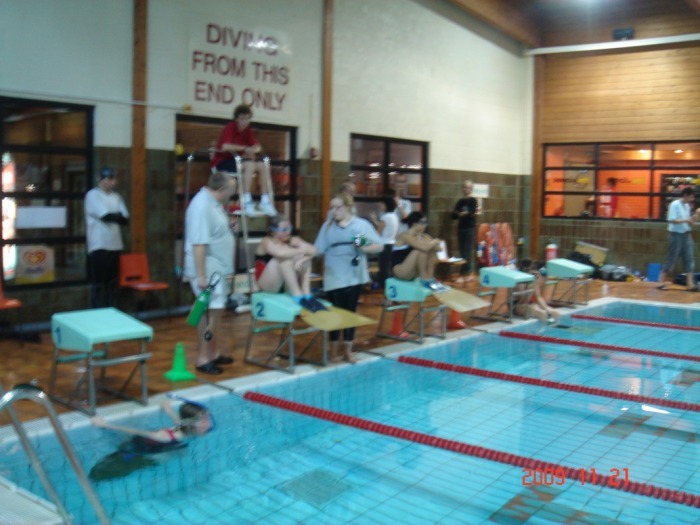 Members celebrated their success by " walking on water" at the Edenbridge Leisure Centre last Saturday at a celebratory break from training. 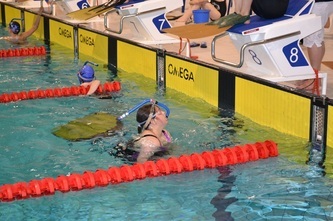 Katie Darby is now the under 18 scuba speicalist of Great Britain having come back from an International Gala in Utrecht with a 400m time that was 30 seconds faster than the previous record !, Beth Fraser and Andrew Turner both set new breath holding records ( 50 metres on one breath in less than 25 seconds!) and have both been invited to join the England team training squad, preparing for the World Championships in this discipline. 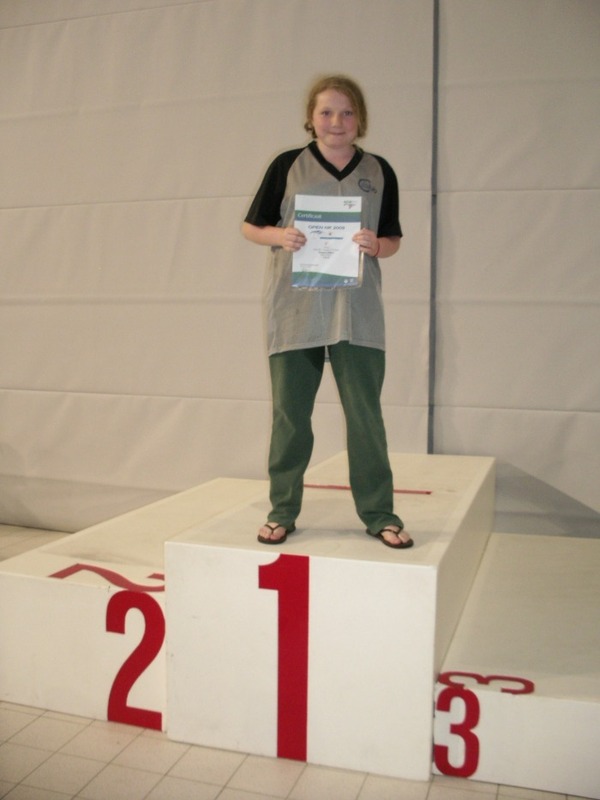 Theo Anderson - Knight is following in Katie's footsteps, becoming the Scuba racing discipline Under 16 gold medal winner in Holland even though he was only 13 year of age. 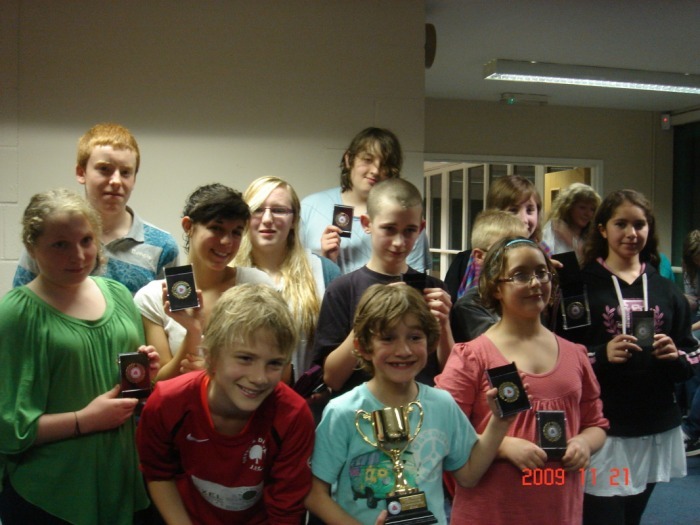 Joining these successful champions are Eleanor Dillon, holder of seven age group records, Sam Davies whose times at the age of 12 are only just being beaten by our 16 year olds..., both were unable to be at the event. 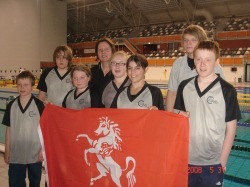 Other medal winners are Cameron Hardman, quadruple record holder for over three years running and younger brother David Hardman, who is now taking Andrew's under 12 years age group records off of him and is swimming at times in the Under 16 years relays to gain gold medals for the club in the team events. 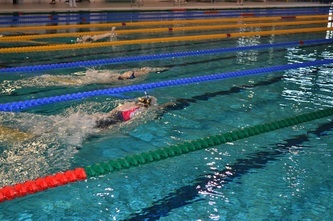 Newcomers Charlotte Layland, Holly Sarup, Jodie Marler ,Mark Coates, Nancy Kingham and Rhys Johnson all swum in relay events and helped to achieve four new british records, as their skills improve we hope that these members will start to win individual medals and records at the international events in Belgium and Eindhoven this year. If you are interested in joining us please contact Sarah on 01892 539 639 who will tell you more. 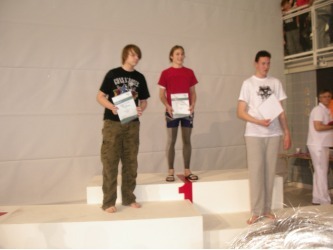 Coach Christine went over with Theo and Andrew to Fin in the German Masters and Juniors gala in Leipzig. 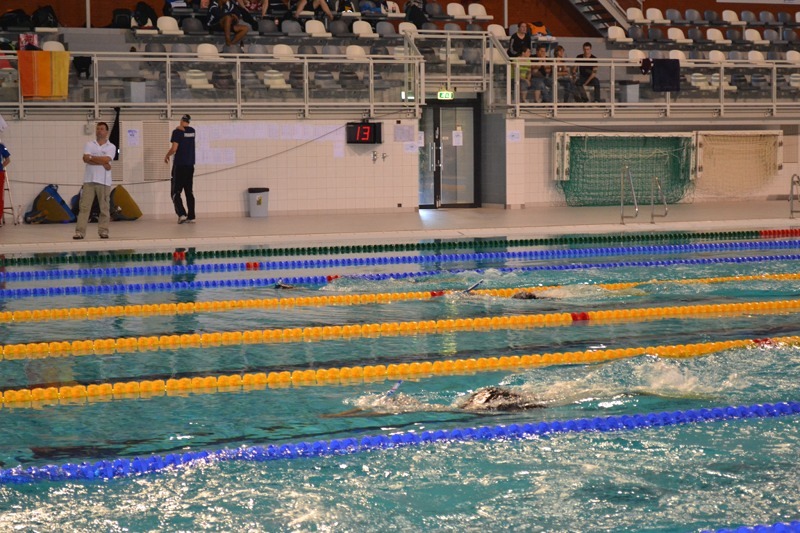 It was her first Masters event against veteran Women, with five women of her own age competing, the others were all life savers who were also trying as a team to beat the German relay record. 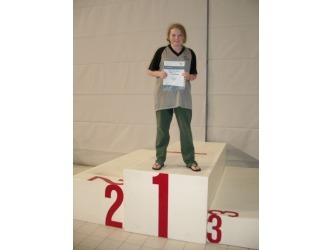 This is the first time she has had competition of an equal age and she rose to the occasion by achieving two podium places out of three races, enabling the team of three to achieve a fairly high ranking ( above half way ) in the event medal table. 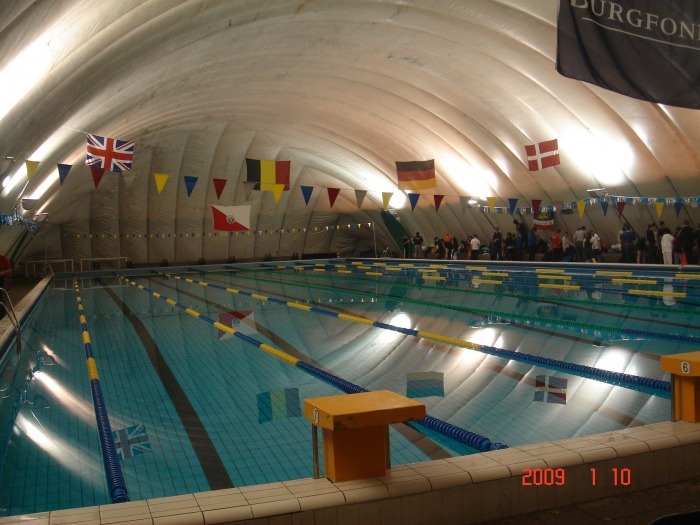 Theo had a fantastic event, gaining a new British Record by slicing seconds off of Andrew's old D record time in the 50m but not quite managing to do the same in the 100m race, Andrew still has his 100m D record intact with Theo missing it by only a couple of hundredths of a second. 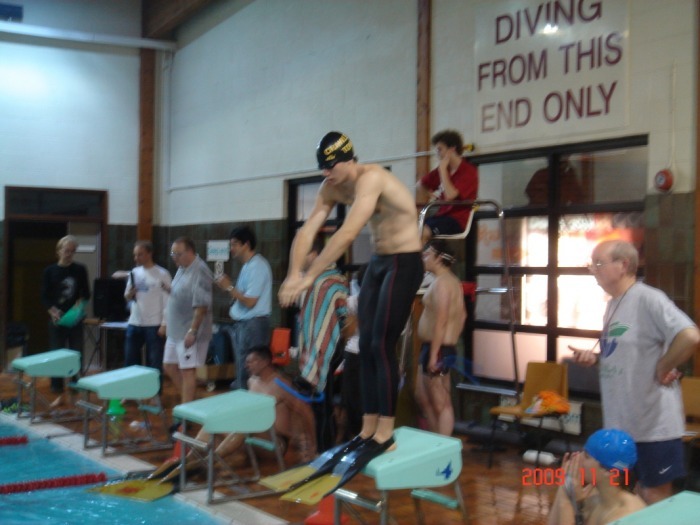 Andrew raced in the C category and also achieved a PB in the Apnea ( 50m on one breath) race. He raced in different heats to Gunnar ( ex Tonbridge Finswimmer now living back in Germany ) but is now only a couple of seconds slower..... something Andrew is working hard to improve further... Whilst the achievements were great they were up against a strong Finswimming nation and achieved a consistent 15th place out of 35 + in all events, this is much higher than expected and shows the progress both boys have made in 2008. next year Christine is planning to revisit the masters section and enter different races, Andrew didn't like the atmosphere ( very cramped ) and will not be joining her. 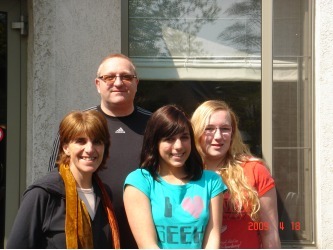 Thanks must go to Adrian for finding a great restaurant to spice up the evening. 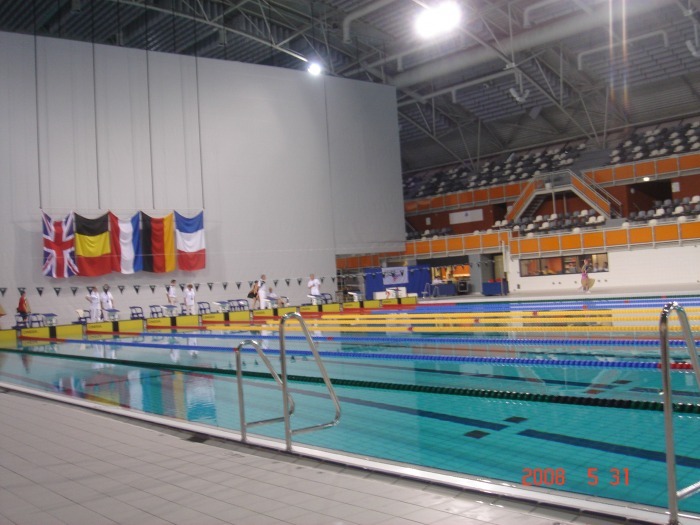 A small team of four raced in the first Dutch International Event of 2009 at Utrecht in January agains Finswimmers from Holland, Belgium, Germany and France, and all came away with new British Record; a brilliant start to the year. 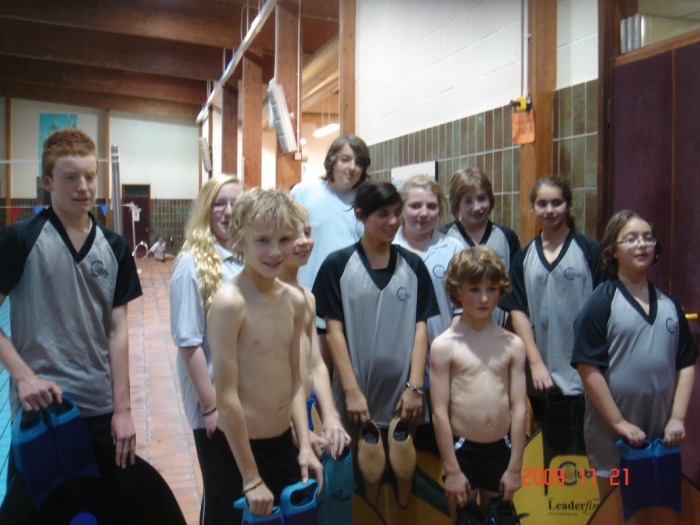 ( last year 14 Finswimmers achieved this feat ) This is a tough competition as juniors have to race in either the Under 18 or Under 16 section but the club are very friendly and we are always welcomed by the local team. 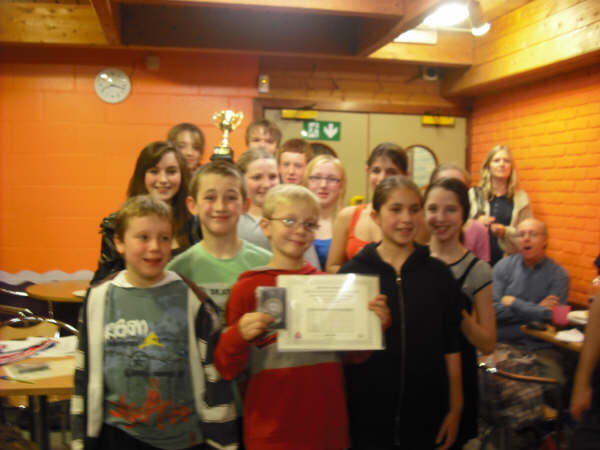 Theo Anderson-Knight, aged 13, created a new Immersion record and won our only Gold trophy. 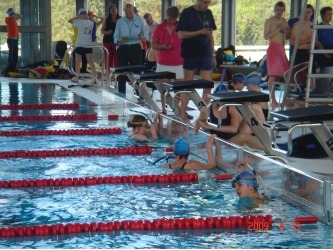 A surprise silver position was achieved by Andrew Turner in the 50m sprint race who also achieved a personal best time despite having to start the race from in the water…..we think he was so worried about what the coach ( mum ) would say that he won his heat and overtook faster race times from the later heats to get a podium place…. 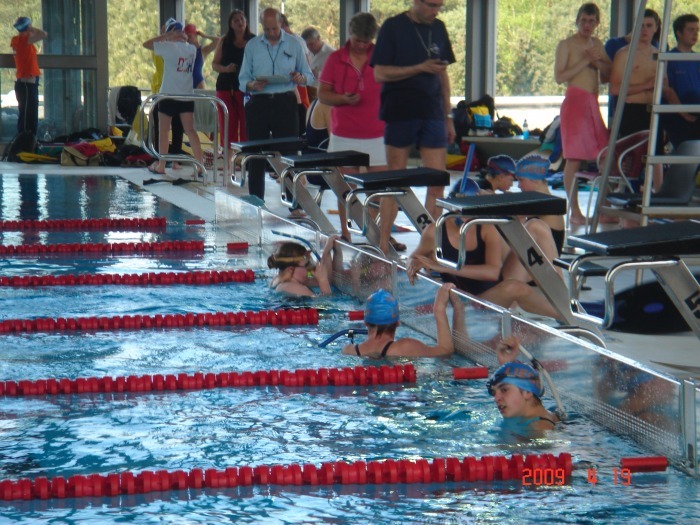 Katie Darby and Beth Fraser both raced in the much tougher Under 18 section for the first time and gave superb performances; Katie improved her 400m Scuba time by over 30 seconds! The four now hold a British Boy’s B record as this is the rule for mixed teams. 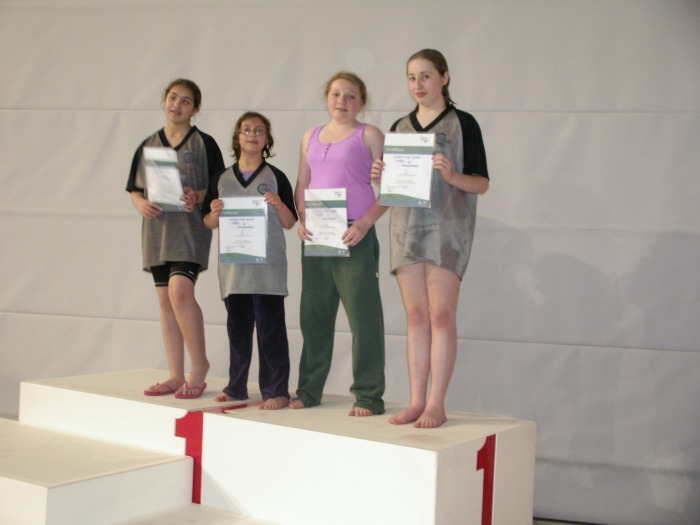 We look forward to Katie and Beth achieving a Girl’s record too at a later event…. Kent Junior Finswimmers all achieved Gold in the British Championships this weekend, many having smashed existing British Age Group records. 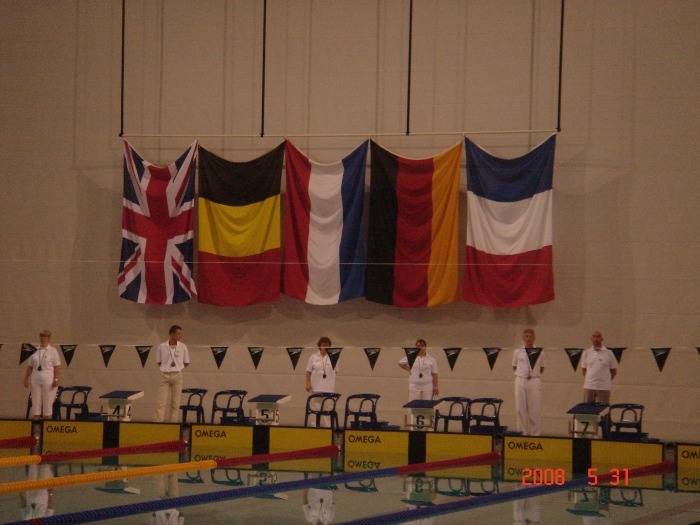 Outstanding performances in the relay team races have led to all members becoming British Short Course British Record Holders this year! 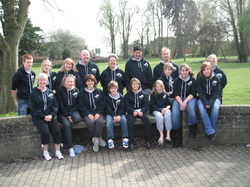 Despite illness the whole team turned out to race in the British Championships, no-one wanted to let their team down and this team spirit earned them success across all age groups. 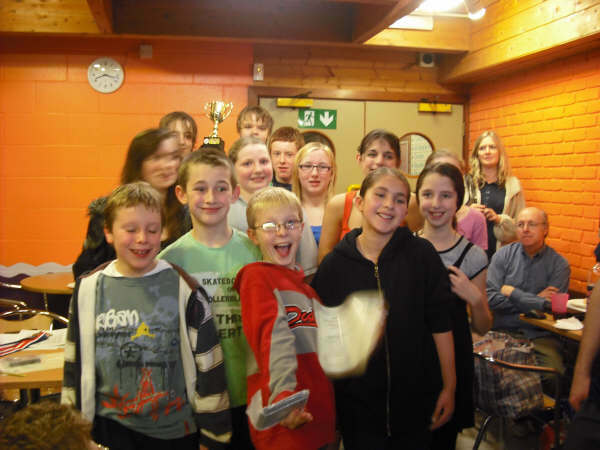 Racers aged from 10 – 16 years kept racing and the wins kept coming….. 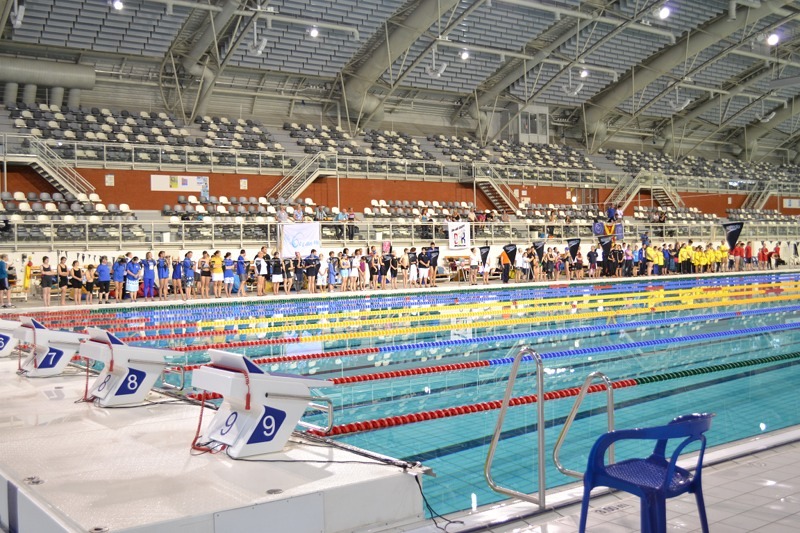 The event is held jointly with the British Universities Championships and many of the youngest fin swimmers recorded times faster than the older students. 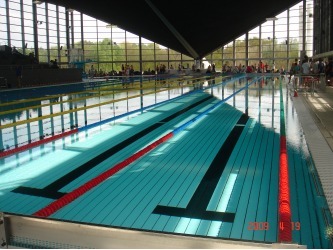 The team also won the Championship Trophy event by over 300 points, congratulations to Eleanor Dillon, David Hardman, ( Woodlands School ) and Theo Anderson-Knight ( T W Boys Grammar) who raced in all four relays, achieving four relay Gold’s each and contributing 96 points to the total club score. 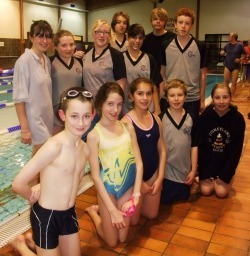 They were joined in the relays by first time competitors Mark Coates, Rhys Johnston, Jodie Marler, Holly Sarup and Charlotte Leyland who all performed perfect relay handovers and fast times to achieve a full sweep of the junior D category events. 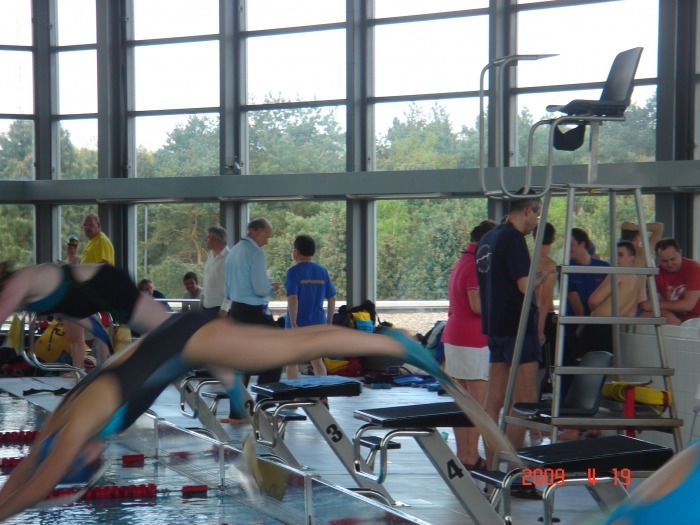 Nancy also raced in her first Championships and achieved similar success, joining the experienced older competitors Katie Darby and Beth Fraser, Cameron Hardman and Andrew Turner who raced and also achieved gold in all their C category races. The Kent Juniors travelled to Eindhoven at the end of May to compete in this great event. 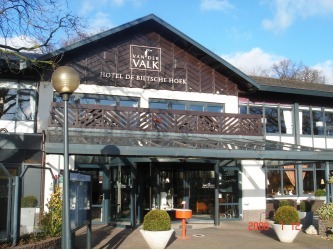 Probably the highlight of the year for the Kent Juniors and their parents staying in the Van de Valk Hotel. The Kent Junior Finswimming Club travelled to Antwerp in April 2008 to swim in this annual event. 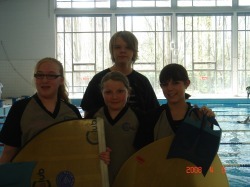 Andrew Turner, Beth Fraser Katie Darby, Eleanor Dillon and coach Christine Turner all competed throughout the day in a variety of events and distances. 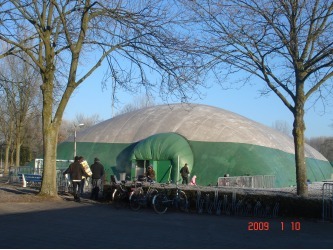 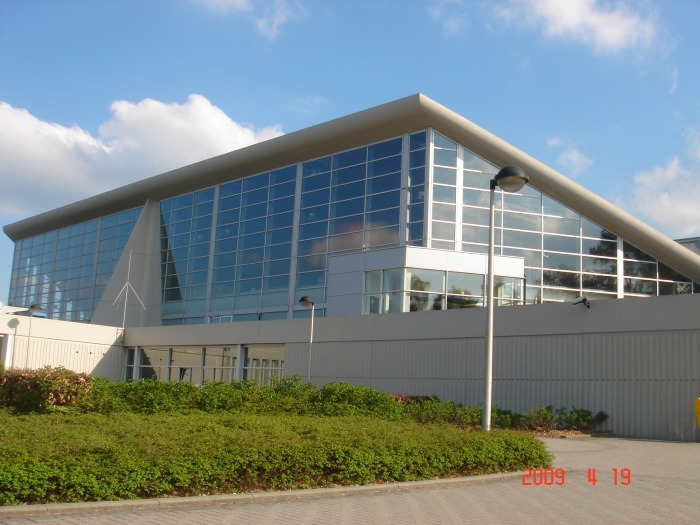 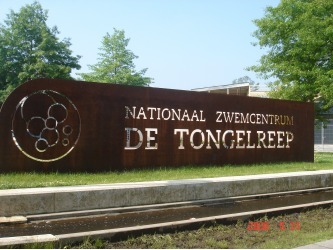 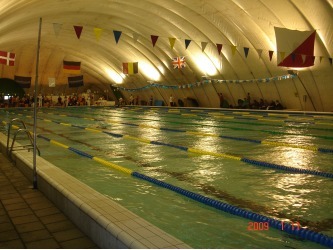 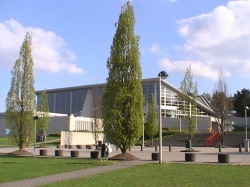 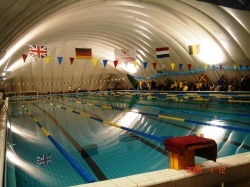 The Utrecht Finswimming Gala was held in January 2008 in a domed pool. Those who swam were: Sam Davies, Beth Fraser, Katie Darby, Cameron & David Hardman, Theo Anderson-Knight and Andrew Turner.